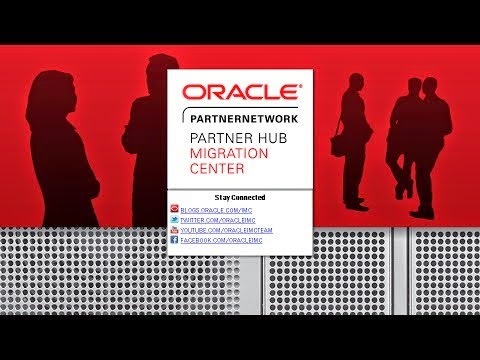 Persistent Systems, a leader in software product and technology services and a Gold level member of Oracle PartnerNetwork (OPN), today announced it has achieved OPN Specialized status for both Oracle Identity Governance Suite 11g and Oracle Access Management Suite Plus 11g. Persistent Systems’ approach to Identity and Access Management is fast, iterative and industry-specific, harnessing its allied experience in areas of Cloud, Mobility and Analytics. It has expanded its Oracle Identity and Access Management offerings to cover value-added services such as platform upgrades (from 10g to 11g), migrations and post-implementation training and managed services support. Persistent Systems also offers a suite of ready-to-deploy integrations and preconfigured functionality that can translate into rapid time to value, fast return on investment and lower CapEx. * By achieving a Specialized distinction, Persistent is recognized by Oracle for its expertise in delivering services specifically for both Oracle Identity Governance Suite 11g and Oracle Access Management Sue Plus 11g through competency development, business results and proven success. 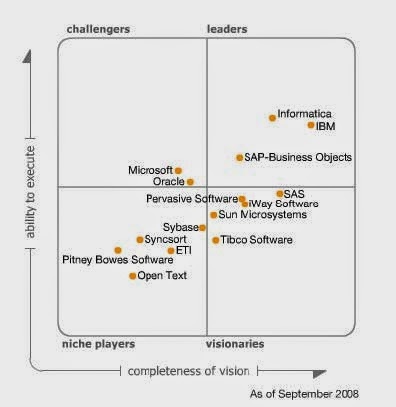 SAP SE today announced that it has been positioned by Gartner Inc. in the leaders quadrant of the “Magic Quadrant for Data Integration Tools”* 2014 report. The report evaluated data integration products from SAP and recognized it as a leading provider based on its “ability to execute” and “completeness of vision”. The evaluation marks the company’s seventh consecutive year as a leader in the Magic Quadrant for Data Integration Tools. 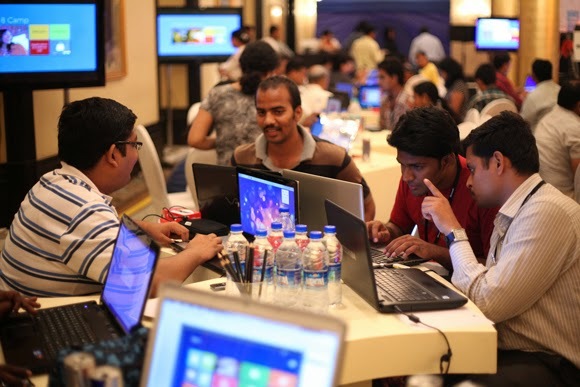 Over 2000 of Microsoft’s employees across seven Indian cities are joining their colleagues across the world for the company’s first global //oneweek hackathon this week. These employees are working on more than 650 ideas that can help and impact a large cross-section of audiences -- developers, enterprises, consumers, governments, not-for-profits, partners, educators, as well as Microsoft’s own internal processes. The hackathon is part of Microsoft //oneweek, a week dedicated to employees in the 114 countries where Microsoft operates. An internal challenge, the //oneweek hackathon is being organized this week to usher in the new growth hacking culture at Microsoft. It aims to encourage and inspire people to start thinking like challengers, learn to continuously adapt and put customers ahead of everything they do. 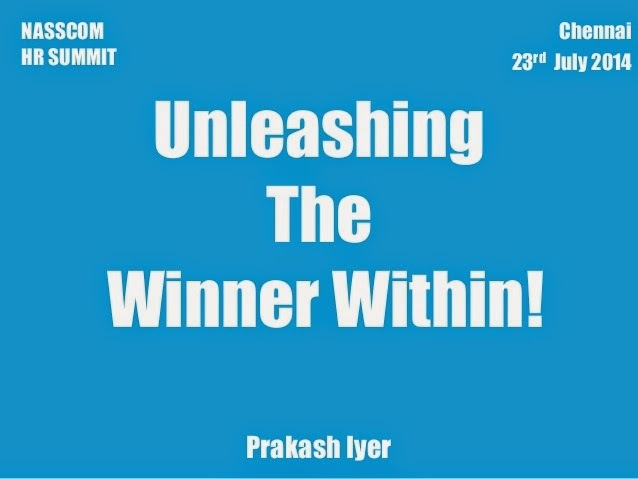 The winning hackathon ideas from India will compete with other winners from across the world via online voting in the first week of August. The top five ideas will be evaluate by a jury who will then declare the global winners. To build a robust and sustainable game developers ecosystem in the country,the National Association of Software and Services Companies (NASSCOM) Gaming Forum in collaboration with MindBox, India’s leading Creative Education initiatives by ARK Infosolutions are jointly organizing “GameJam Titans”. The “GameJam Titans” is a game development competition, and will be held across six cities in India (Chennai, Bengaluru, Hyderabad, Mumbai, Pune and Delhi) from 22nd August to 28th September 2014. The winners shortlisted from each of these cities will be given an opportunity to showcase their game on the sidelines of the NASSCOM Games Developer Conference to be held in Pune on 13th to 15th Nov 2014. 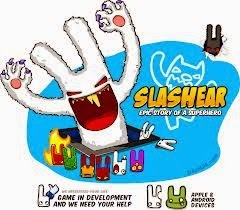 The ever increasing mobile user base with data connectivity is creating opportunities for game developers across the board. Recognizing the growing opportunity, NASSCOM Gaming Forum and Mindbox aim to tap the potential of young gaming developers through this competition. The competition is open to colleges, schools and professionals who will be developing games at the venue for a period of 48 hours. More than 50 schools from each region will participate in these competitions, which will provide an opportunity to students not only to identify their own creativity & life skills, but also compete at this large platform. School teams will be given a theme (week prior to the competition) on which they will develop a game and present to the jury on the final day. Rajesh Rao, Chair, NASSCOM Gaming Forum, said, “The gaming industry in India has proved its capability in terms of delivering quality products and has the potential for acquiring a large domestic as well as international market. The sector is poised to grow at an exponential level in the years to come and will continue to capture the imagination of users and developers alike. Through this competition, we aim to engage with the youth and encourage them to take up game development as a career as it is a growing domain. The Indian gaming services have moved up the value chain with more end- to-end offshoring work in terms of development coming to India. NASSCOM Gaming Forum recognizes the gaming industry as a significant user of technology which can further showcase India’s well established credentials in the IT Industry space. The competition will aim to further build the gaming ecosystem in India and promote it as a viable career option amongst students. Students participating can get registered at www.gamejamtitans.com for GameJam Titans. NASSCOM Gaming Forum also plans to provide expert training to registered students for GameJam Titans on Unity Game Engine. Croma and Intel India today launched the Croma1179 Tablet(8”) and Croma1177 2-in-1 (10.1”) powered by Intel® processors at an event led by Ajit Joshi, CEO & MD, Infiniti Retail and Gregory Bryant, Vice President, Sales and Marketing Group, General Manager, Asia-Pacific and Japan Region for Intel. Priced at Rs 13,990 and Rs 21,990 respectively, the devices run on the Microsoft Windows* 8.1 platform and deliver an ideal balance of performance, battery life and graphics to users. Croma is India’s first large format specialist retail chain for consumer electronics, with 101 outlets in 16 cities across the country. The company launched Croma Life Accessories in 2008 to provide innovative and unique products to help consumers choose the best product for their needs, which now includes a range of computing devices. When it comes to mobile devices, consumers today want a smooth browsing experience, security, good battery life, better visuals and graphics without compromising on performance. 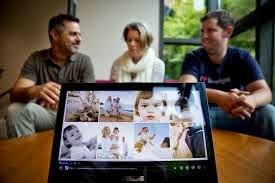 Based on this insight, Croma and Intel came together to launch the tablet and 2 in1 powered by Intel Processor and running Windows 8.1 OS which create a differentiated product proposition in Croma’s existing tablet offering. The Croma 2 in 1(10.1”) powered by Intel will be the lowest priced 2 in 1 in the Indian retail market offering consumers great value for money. The Croma Tablet 8” is Croma’s first ever Intel Architecture-based tablet in India. Equipped with an 8” (160 ppi) of 1280 x 800 resolution display, the tablet delivers an ideal balance of performance, battery life and graphics to users. With slick dimensions, the device is easy to hold and light to carry. It runs on the latest Windows 8.1 and packs a powerful Intel Atom Processor Z3735D, 1.33GHz with a 2 GB of RAM; offering powerful multitasking and a rich multi-media experience. The 2 MP rear camera and 2 MP front camera ensure quality pictures and great video capability. The Croma Tablet 8” comes with 32GB internal memory which can be expanded using a MicroSD card. The device also sports a powerful 5000mAh lithium polymer battery for on the go usage. Designed for both work and entertainment, the Croma Tablet is the optimal device for viewing videos, playing enhanced games, and reading e-books anytime, anywhere. The Croma 2-in-1 10.1” is the perfect ‘on-the-go’ gadget, as it offers the portability of a tablet and the performance and convenience of a laptop to consumers. 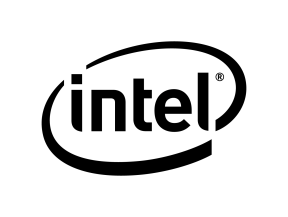 The 10.1” device encompasses Intel’s vision to offer a variety of choices to match the varied needs and lifestyles of consumers. Powered by a Intel Atom Processor Z3735D , the 2-in-1 runs on Windows 8.1 OS platform making it a true powerhouse for work and play; the device’s performance is further enhanced by 3G ready capability and WiFi connectivity. With a 2MP front and 2MP rear camera the 2-in-1 serves the consumers as a perfectly designed, high performance and reliable device. Being the lowest priced 2 in 1 device in Indian retail, this device truly offers a great value for money proposition for consumers who seek two devices for the price of one. To build a robust and sustainable game developers ecosystem in the country,the National Association of Software and Services Companies (NASSCOM) Gaming Forum in collaboration withMindBox, India’s leading Creative Education initiatives by ARK Infosolutions are jointly organizing “GameJam Titans”. The “GameJam Titans” is a game development competition, and will be held across six cities in India (Chennai, Bengaluru, Hyderabad, Mumbai, Pune and Delhi) from 22nd August to 28th September 2014. The winners shortlisted from each of these cities will be given an opportunity to showcase their game on the sidelines of the NASSCOM Games Developer Conference to be held in Pune on 13th to 15th Nov 2014. MartJack ‘Enterprise’ today announced that it has signed on more than 250 Enterprise customers globally for its Multichannel Commerce Platform, making it the leader in the Enterprise eCommerce Platform space across India and Middle East. The company also said that moving to Microsoft Azure has helped Martjack ‘Enterprise’ acquire this large a customer base in record time. “MartJack is truly optimizing the power of Azure for its business and customers. The open and flexible architecture of Azure has helped the company achieve great success in little time,” said Srikanth Karnakota, Director, Server and Cloud Business, Microsoft India. “Azure has helped MartJack innovate by allowing them to customize workflows quickly and at the same time improve cash flows by reducing infrastructure cost. MartJack users are also able to access their favourite retail brands anywhere across devices of their choice”, he added. MartJack ‘Enterprise’, is the leading enterprise class ecommerce platform across India and Middle East. It provides customers with not just a multi-tenant SaaS based ecommerce platform, but also offers end-to-end multichannel commerce capabilities. This includes, seamless catalogue, inventory, order, marketing management, integrated logistics, payments and third party application integration facility. The platform also enables retailers/brands to leverage the power of mobile site, mobile application and social media integration to engage with digitally savvy consumers. It enables retailers to provide a seamless brand experience across multiple channels – web, mobile, social, and in-store, thereby increasing footfalls, revenues and profits. The platform has an elite clientele of brands such as Future Group, Lulu, Godrej Nature basket, Metro Shoes, The Body Shop, Wildcraft, Casio to name a few. Martjack is now looking at expanding into other global markets such as South East Asia and US. The Multichannel commerce platform has enabled retailers to provide a unified brand engagement and shopping experience for demanding consumers through web store, mobile store, Facebook and in-store channels. Integrated customer processing systems such as ERP with the eCommerce store enable pricing, discounts and inventory data to be automatically fetched from the systems, eliminating manual intervention to update pricing and inventory for eCommerce store. This also integrates offline loyalty systems with the ecommerce platform to let consumers seamlessly earn and redeem loyalty points seamlessly across in-store and online transactions. With more than 50% of internet users doing a preliminary research before purchasing a product (Zinnov Research 2013), the digitally influenced product sales for retailers is growing at a rapid speed. The multichannel commerce platform provides avenues such as ‘order online - pickup in store’ (consumers can place the order online and pick up the product in store), store based stock (retailers can map the products with store-specific inventory level so that the end consumer can check the availability of the products at a particular store). Preloaded tablets are used by in-store sales force to showcase rich product catalogs (videos and images) and detailed product specs to consumers, especially for electronics goods. They are also able to capture consumer details while showcasing the products, which is seamlessly synced with POS systems where the residual part of billing is completed. This reduces the billing time per consumer from 18 minutes to 8 minutes. It also allows banks and insurance companies to extend offers to their debit/credit card holders by providing promotions on purchases through their market place. Maxx Mobile, a leading manufacturer and marketer of mobile phones and accessories, today announced the launch of their new model AXD21, which runs on Android KitKat Operation System and comes with 20 GB Memory. Available at an extremely affordable price of Rs, 4020/-, the handset will be offered exclusively on Snapdeal.com, India’s largest online marketplace. Tony Navin, Senior Vice President, Electronics, from Snapdeal.com said “We at Snapdeal.com, endeavor to offer high quality products across varied categories to our 25 million users at best prices. The smartphone category on the portal has been getting an extremely encouraging response. The strategic tie up with Maxx Mobile will help us cater to our large customer base with interesting products such as the AXD21 - Kit Kat. We hope to see a positive response from our customers and look forward to a long term relationship with Maxx Mobile”. 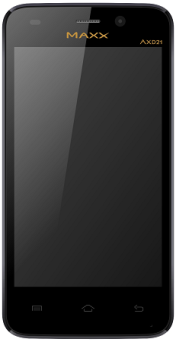 The Kit Kat based AXD21 model has a 4” screen and comes with 20 GB Memory (4GB ROM +16 GB memory card) and 512MB RAM. It comes with a 1 GHz Dual Core Processor, powered by Mediatek and a 3.2 MegaPixel Camera with Flash+ 0.3 MegaPixel Front Camera. The front camera supports features like panaorama shot, face and smile detection, HDR and other camera effects. The phone boasts of a 1450 mAh Battery and 3G Connectivity, GPRS /Edge, Bluetooth and Wi-Fi. The back panel has a premium leather finish. The phone will be available in 4 colors, black, white, red and yellow. Wego.com, a leading travel search site in the Asia Pacific and Middle East, has released a free simple and effective travel app for android and iOS. 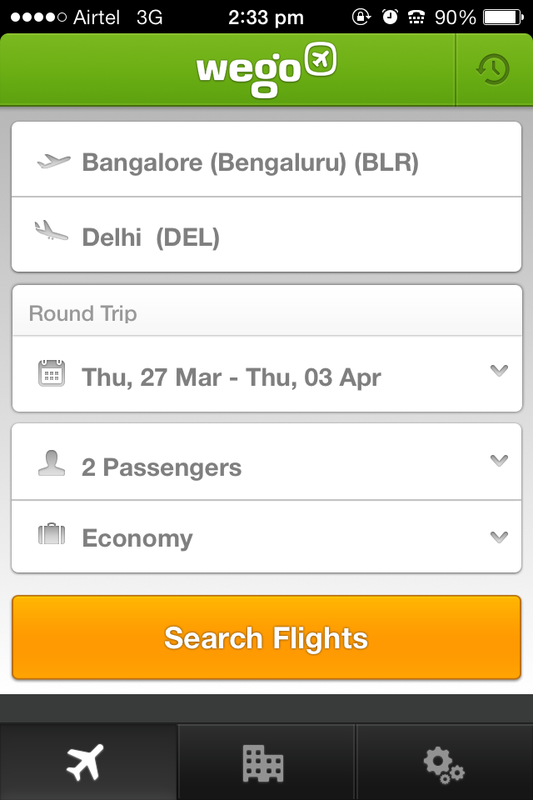 As a convenient extension of the popular travel search platform, the app instantly provides mobile users with hundreds of airfare options and hotel rates in 20 languages. 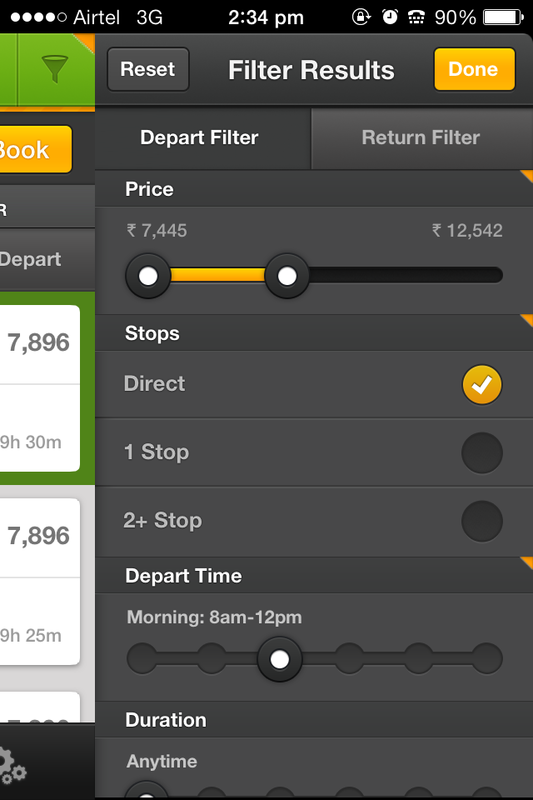 Wego simplifies the uneven world of online travel options by gathering all available airfares and hotel rates on one app to provide travellers with unbiased and channel neutral prices in real time from local and international hotels, airlines and online travel providers. The app features easy, gestured navigation, advanced filtering and sorting options, clear and concise images along with a highly optimised logic for lower data and battery consumption. It also offers the convenient option to email travel search results to a friend or yourself for subsequent booking at a later time. In addition the iOS app indicates which hotels feature a mobile-friendly site. The Wego app has been rated as the number one travel app in Indonesia and Saudi Arabia by the iTunes Store and has featured among the top ten travel apps in the Middle East and other regional markets. Intuit Inc today announced that it has entered into an agreement to acquire KDK Softwares India Private Limited a market leader in providing professional tax solutions in India. This acquisition will further strengthen Intuit’s commitment of becoming the ecosystem behind small business success and establishes a strong position for the company to reach accountants in India. 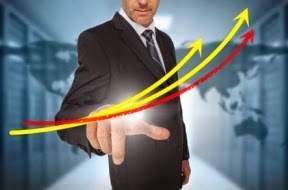 Intuit looks to add a significant base of over 20,000 of KDK Softwares’s customers. KDK Softwares states that with its current market base it is serving 1 in 5 practicing chartered accountants in India. Intuit will also expand its portfolio of offerings to include simplified tax filing for accountants, bookkeepers and their small business clients. KDK Softwares is a leading provider of professional tax computation and e-filing solutions, both in desktop and cloud models, with a base of over 100 channel partners in over 60 cities in India. With this acquisition and its integration with the popular worldwide solution Intuit QuickBooks, Intuit will be able to offer a robust solution for accounting, tax computation and e-filing. Accountants usually spend 50 percent of their time filing taxes. The new Intuit QuickBooks will create significant time savings by improving their workflow and the ability to complete a tax return in a single step. The closing of the acquisition is subject to the satisfaction of certain customary closing conditions by the parties. Intuit is the world leader in business and financial management solutions for small businesses and accountants. QuickBooks is used by more than 5 million users worldwide, including 300,000 accountant users. 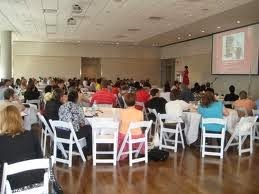 “Our vision is to become the ecosystem behind the success of Indian small businesses and accountants. By 2020, we want one in four small businesses in India to use Intuit products. With this acquisition, we will in the near term be able to provide our customers with an end-to-end workflow of integrated accounting and tax capability which would be the first of its kind in the country,” said Nikhil Arora, Vice President and Managing Director, Intuit India. “The addition of KDK Softwares builds on Intuit’s QuickBooks small business ecosystem offering in India, providing for the first time a seamless and collaborative tax filing solution,” he added. NASSCOM Foundation organized a panel discussion on ‘Finding Talent, Finding solutions: Hackathon, your new and progressive HR strategy’ at the recently concluded NASSCOM HR Summit, at Chennai. The goal for the session was to establish Hackathons as an integrator of HR practices and how they are poised to change the traditional landscape of hiring, nurturing talent, promoting innovation, and incubating leaders and as a tool for doing social good. Technology has always been an enabler to efficient HR practices, but with Hackathons, it is expanding its role to create a platform that cuts across Talent Acquisition, Learning and Development (L&D) and Employee Engagement among other HR functions for the technology companies. The panel discussion featured Gaurav Ahluwalia, Managing Director and Head - Human Resources, J. P. Morgan, Hari Vasudev, VP & Head, Yahoo India R&D and Kumar Sachidanandam, Senior Director - Innovation Group, Cognizant and was moderated by Rita Soni, CEO, NASSCOM Foundation. The panelists collectively concurred to the increased relevance of Hackathons within the larger HR policy of an organization and suggested on how the Hackathons may work as a vital integrator of multiple HR practices while contributing towards society. Of late, NASSCOM Foundation has been actively involved in Hackathons like JP Morgan Chase’s Code for Good challenge and Code for India’s twin city Hackathon. Both combined, saw over 430 coders from India and the US participate. The Foundation understands that apart from being a great HR tool, Hackathons can be driven towards finding new and innovative solutions to real world problems like natural disasters, traffic issues, environmental protection or any other cause the coders and developers can identify with or feel passionate about. 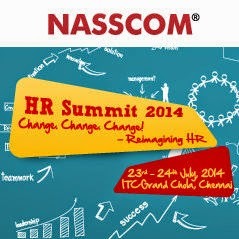 NASSCOM HR Summit 2014, titled ‘Change, Change, Change – Reimagining HR’ saw HR teams participate from across the 1600+ strong NASSCOM member community. This provided with the best possible setting to promote Hackathons as a paradigm shift in how the new age HR domain may evolve, to be in sync with the ways of the Gen Y.